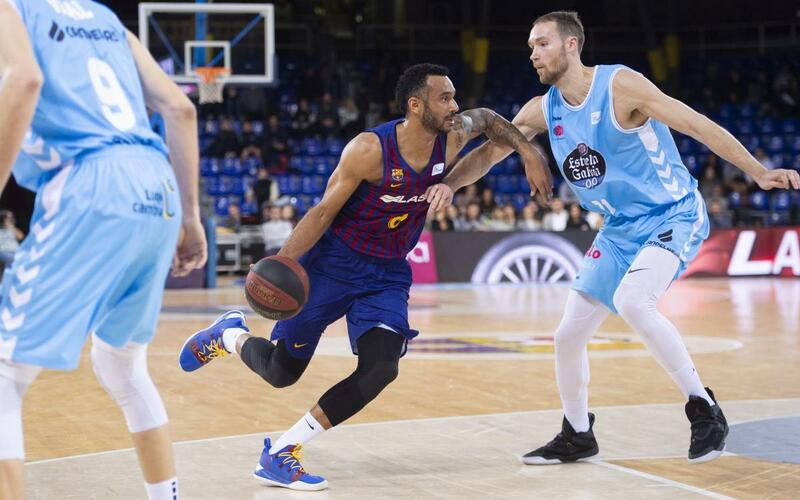 Barça Lassa have beaten Cafés Candelas Breogán 94-80 at the Palau Blaugrana to stay top of the Liga Endesa and claim the ‘winter champions’ honour for the first time in eight seasons. Adam Hanga led the way with 24 points and 6 rebounds. Rapid transitions from defence to offence were the key to the home side breaking into a comfortable 27-20 lead at the end of the first period. And in the second, dominance of turnovers and control of defensive rebounds, and some top scoring from Singleton opened an ever wider gap at 38-25, and exchanges of threes were the tonic for a pulsating lead-up to the break with the scoring at 50-38. It looked like plain sailing, but the Galicians came back out very strong indeed, and a 0-11 streak undid all Barça’s good work early on. But that’s when Hanga stepped up his game and the 77-66 lead at the end of the third period would prove definitive. The final period produced a drop in the scoring rate on both sides, and the final score of 94-80 means the Catalans are half way through the regular season undefeated at the Palau.